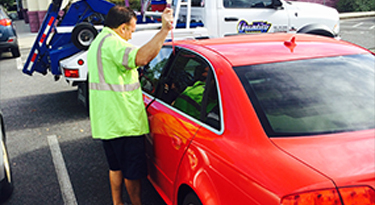 At Quality Towing & Service Center we are proud to offer the following services. 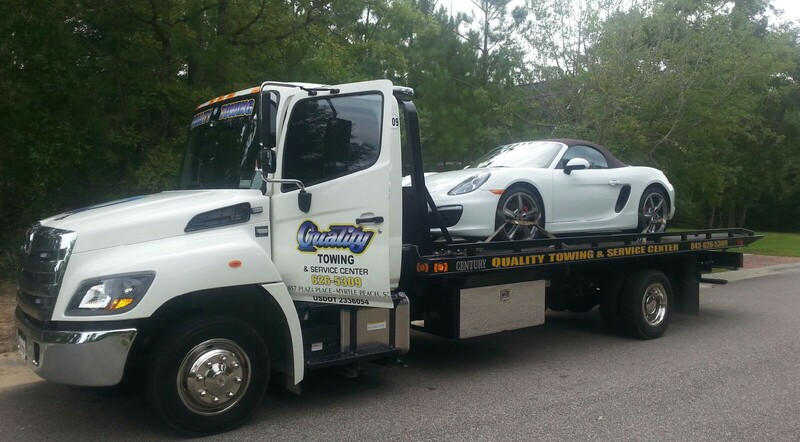 Quality Towing & Service Center is proud to be a full service towing company. Our lightweight towing is designed to tow your everyday vehicles. This includes motorcycles, cars and light duty trucks. If your vehicle breaks down and you need help, give us a call today. 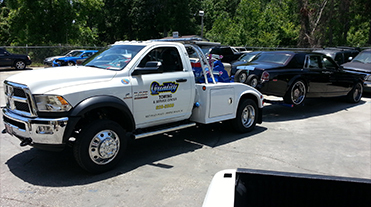 Our tow trucks and flatbeds are equipped to handle the needs of medium sized vehicles. Anytime you need a medium sized truck, piece of miniature equipment, camper trailer, RV or other vehicle towed, give us a call. We can have one of our professional tow truck drivers come out and help you to move your vehicle. When your tractor trailers or heavy duty equipment breaks down, it can be difficult to move, that’s where we come in. We can help you to move any of your heavy equipment or trucks around the clock. Just call our 24/7 dispatch line to discuss your needs and we’ll get a driver out to you as quickly as possible. That way, you are spending less time stressing over equipment and have more time to focus on your project. When you need a vehicle or equipment delivered across town or across the state, Quality Towing & Service Center will fulfill all your long distance towing and equipment moving requirements: your vehicle, item or equipment will arrive at its destination without damage. Our services are highly affordable and designed to help you to move your equipment, without cutting into your profit. There may be times when you don’t need a tow, but you still need assistance. We are able to provide you with these emergency services at any time of the day. We can assist you when you have a dead battery, flat tire, need gas, are locked out of your vehicle or are in need of some additional help. Our team of professionals can help you to perform standard maintenance on your cars, trucks and RVs. From simple oil changes to work under the hood, you can count on Quality Towing & Service Center.